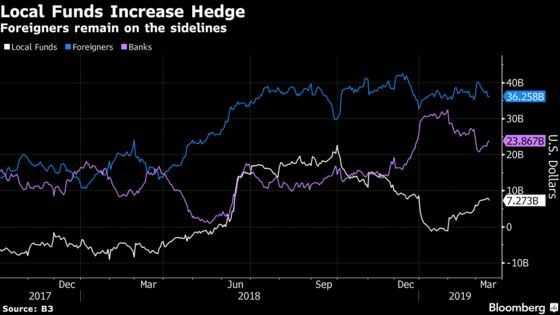 Foreigners pulled the equivalent of $112 million from Brazilian stocks through mid-March, extending a 2018 exodus that marked the biggest annual outflow since the global financial crisis. Yet, stocks have rallied 9.4 percent this year, pushing the benchmark index above 100,000 for the first time this week. 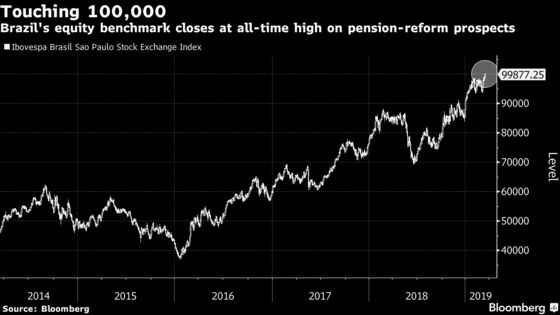 One reason foreigners missed out: Talk about a massive overhaul of the nation’s bloated pension system hasn’t yet translated into reality.